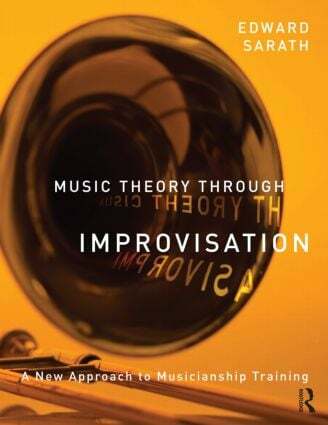 Designed for Music Theory courses, Music Theory Through Improvisation presents a unique approach to basic theory and musicianship training that examines the study of traditional theory through the art of improvisation. The book follows the same general progression of diatonic to non-diatonic harmony in conventional approaches, but integrates improvisation, composition, keyboard harmony, analysis, and rhythm. Conventional approaches to basic musicianship have largely been oriented toward study of common practice harmony from the Euroclassical tradition, with a heavy emphasis in four-part chorale writing. The author’s entirely new pathway places the study of harmony within improvisation and composition in stylistically diverse format, with jazz and popular music serving as important stylistic sources. Supplemental materials include a play-along Audio CD for improvisation and a companion website with resources for students and instructors. Edward W. Sarath is Professor of Music and Chair for the Department of Jazz and Improvisation Studies at the School of Music, Theatre, and Dance at the University of Michigan.